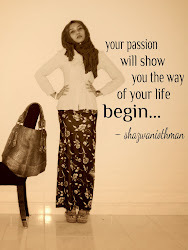 Shazwani Othman: Introducing Malaysian's With Save22.com.my ! Introducing Malaysian's With Save22.com.my ! Hye all the shopping lover. How are you? But now, that things would never happen with Save22.com.my ! Trust me. You will never miss a promotion again if you keep stick it with Save22.com.my. Wani wani wani! What is Save22.com.my tuu? Okay, lemme tell you guys what is Save22.com.my. Actually, Save22.com.my is a website which is give you a comprehensive pricing, promotions and sales information that is updated daily to cater to your shopping needs. It also shows you all the deals around your current location. No worries as long as you stay in Malaysia. Did you find an awesome catcha when you can deals it at home before you start your car and get it to the store? It also can save your fuel at all. No need to spend too much time and fuel to round the whole city to find the store which run the promotion on that time. Just like my tagline, 'Just click it. And get it'. It's easy, isn't it? Senang gilos macam bace alif, ba, ta. Kenn? In addition, it is also provides a map that show a location where the promotion is running. Awesome kan? And now, move on to the categories. As you can see, there is a lot of variety categories up there. Just click the one you heart it. It is can fulfilled your shopping necessities. Whatta cool babes! So sekarang tak payah lagi nak bersesak-sesak, nak bertolak-tolak, sepak terajang dekat shopping mall tu semata-mata nak berebut Clutch Gucci yang tengah hot sale tu. Sebab kite dah tahu ape yang offer dan ape yang kite nak beli kan. Kite pegi dulu, dan rembat cecepat. Smart tak kite? hikhik. For me, Ramadhan will arrive soon. And for sure I wanna to find the marvelouss restaurant for me and my family to breaking it. And gotcha! Like what I wish, there is a Ramadhan Special Buffet Promotion. This is totally great! Just click it? Yes, just click. Click and click. So, what I'm doing after this? I'm just get prepared to be praised by my family because I'm managed to find the restaurant which is have a special buffet promotion, muehehe. Now, everything come through online. Nak tempah tiket lah, nak beli baju lah, nak cari tempat makan murah lah dan sebagainye. Semua boleh check online before shopping offline. Takpun beli direct secara online. Nak-nak lagi dengan kecanggihan alami sekarang ni yang lebih memudahkan urusan pembelian, ape lagi kalau bukan smartphone. Kenn yuwols kenn? Duduk baca suratkhabar pun boleh click-it lagi. Ye dak kak ton kak ton dan abe ton abe ton semuee? haha. So guyss, what you waiting for? I've already help you out from the shopping obstacles. Use this opportunity wherever you are. I'm sure that most people have their own smartphone. So, check it out. Click here Save22.com.my. Make Save22.com.my as your BFF. Selamat shopping dengan senang hati ya semua. Pernah jugak beli mahal2 tapi lepastu baru nk wt offer, rsa mcm errrr???! !